If Mike Krzyzewski’s Duke Blue Devils beat Michigan State tonight (ESPN, 7 p.m. EST), he’ll get his 903rd win and become college basketball’s all-time winningest coach. In doing that, he’ll pass his mentor — and his former Army head coach — Bob Knight. 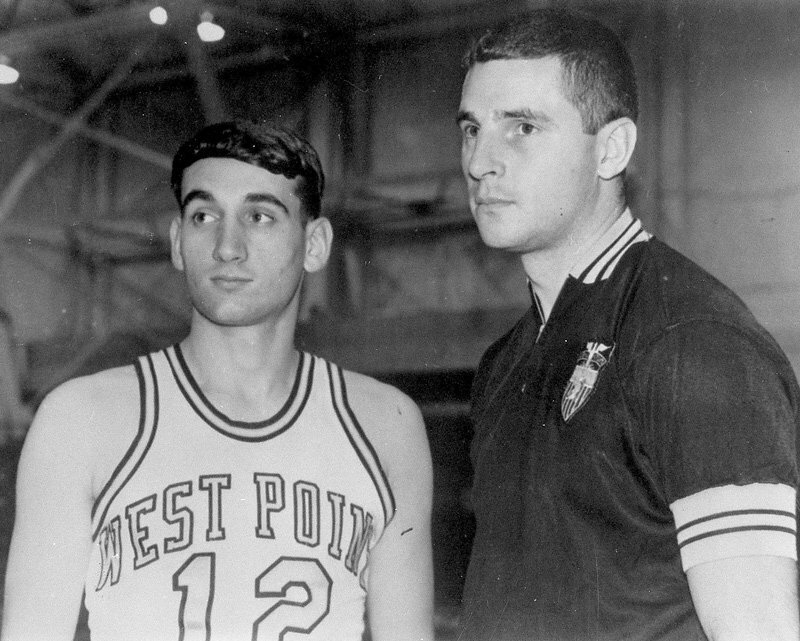 Krzyzewski was coached by Knight for all of his four seasons at West Point. Knight forced him to change his playing style, and Krzyzewski went from being a top scorer in high school to primarily a staunch defender and ball-handler for the Army team. He struggled to find his place — even getting booted off the team by Knight for two days — but ended up thriving, and became the team’s captain in his senior year. In his book “Leading With the Heart,” Krzyzewski documents the profound personal and professional influence Knight had on his life, especially during his Army playing days. “Coach K” went on to follow in Knight’s coaching footsteps — as Army’s head coach from 1975 to 1980, he amassed a 73-59 record. In 1980, Krzyzewski landed the top job at Duke, and the rest is history. Krzyzewski’s career has been a source of pride for West Point sports, and he was inducted into the Army Sports Hall of Fame in 2009. Knight, himself inducted into the hall in 2008, introduced Krzyzewski. In keeping with the Army love, Chief of Staff Gen. Ray Odierno posted congratulations and encouragement for his fellow West Point grad.